One of the best thing about Keto Desserts is being able to recreate flavors and regular desserts you love in a version that won’t bust my diet. 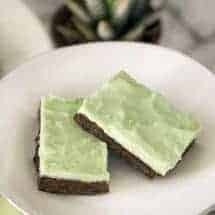 Keto Mint Chocolate Bars are amazing and taste just like an Andes Mint! I can’t wait for you to try these. This is another one of those recipes that you could easily serve to your friends who aren’t on a diet and they would never know or guess that this was Keto friendly based solely on taste alone. They’re simple to make, but taste oh so good. Let’s get cooking! I’m a sucker for chocolate. One of my favorite things about doing the Keto diet is that you can have chocolate while doing it. There are so many ways you can modify an existing recipe to make it Keto-Friendly. 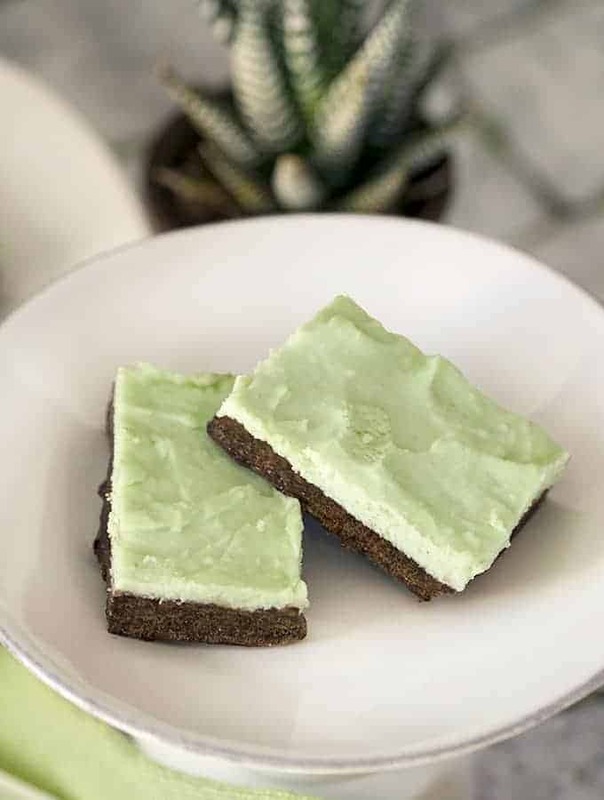 These Keto Mint Chocolate Bars are so good, and I’m so happy I decided to make them. The recipe makes a pretty good sized pan of them, so it would be perfect for a family dessert, or as a dish to bring with you to a potluck or dinner get together. I like bringing dessert options with me I know I will enjoy and that are Keto friendly when I go to get togethers because it helps me stay on diet and helps me meet my goals faster. 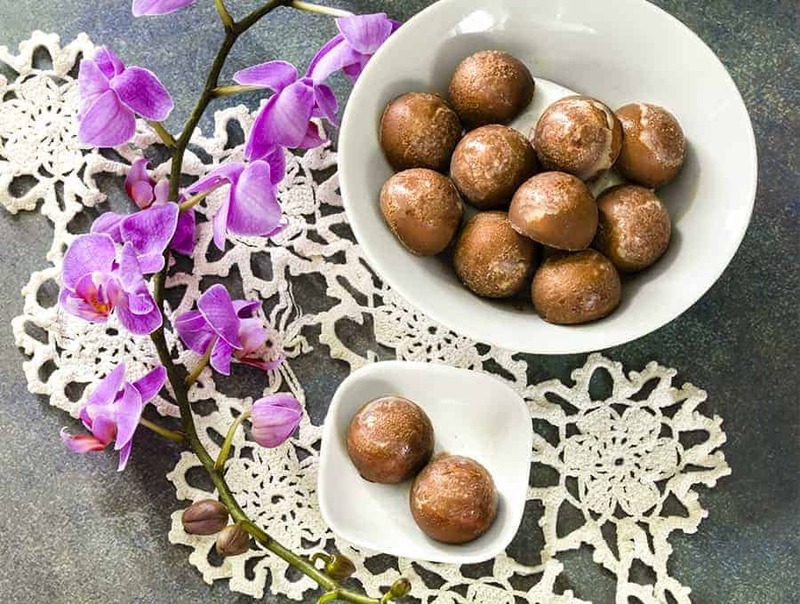 Another amazing Keto Dessert are these milky, chocolate Keto Truffles! Don’t they look so melty and delicious? That’s because they are! You will not regret making them! Another one of my favorite Keto friendly desserts is my gluten-free, nut-free Keto Chocolate Cake! So good you don’t even need frosting! But enough about those other desserts, let’s get back to these Keto Mint Chocolate Bars. I used green food coloring to make the frosting a pretty minty green color. If you don’t care what color the frosting is, you can omit that step. The best part about these though? You make them in the microwave. Yep! No oven or baking, just a few minutes in the microwave and then let them set up in the fridge for a while and then you can eat your yummy Keto Mint Chocolate Bars. They’re even easy to make in a pinch, which is why I love them. Sometimes the craving for low carb sweets will just hit me, and recipes like these make it easy to satisfy that without ruining my diet. 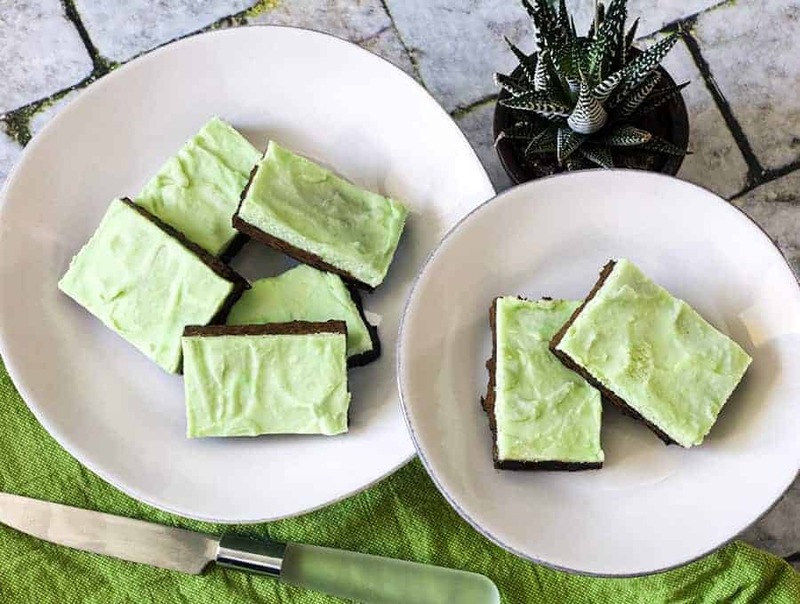 Few things go together like mint and chocolate, and these Keto Mint Chocolate Bars are a fine example of that! 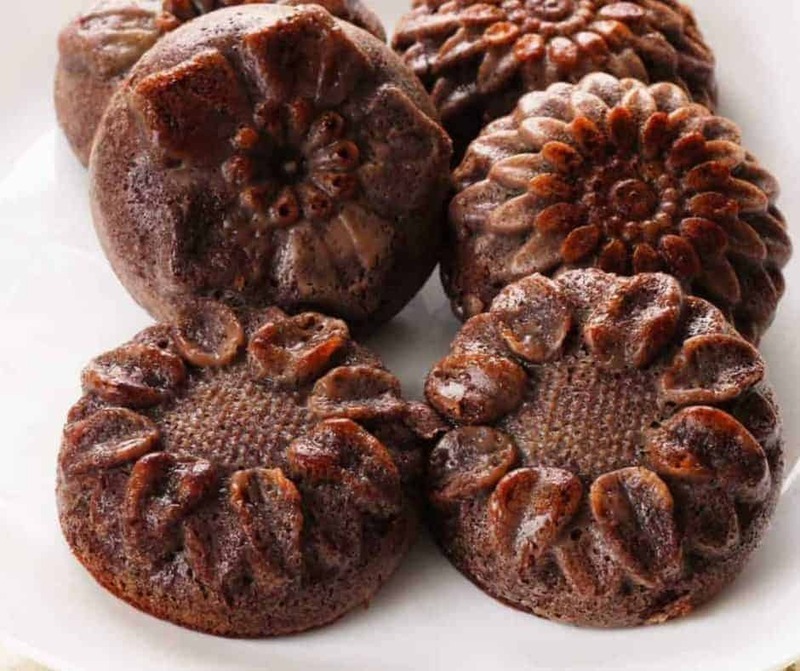 They are deliciously minty, chocolaty AND low carb! Lightly grease 8 x 6-inch square pan with shortening or cooking spray. Place butter and chocolate in a large microwave safe bowl. Heat for 15-20 seconds in the microwave and stir well until the butter and chocolate are melted. Add in almond flour and mix well. Pat this mixture into the greased pan and set it in the refrigerator. In a small bowl, beat 1/4 cup butter, whipping cream, peppermint extract, and food color with electric mixer on medium speed until well mixed. On low speed, gradually beat in powdered Swerve until smooth. Spread peppermint mixture evenly over chocolate mixture. Refrigerate for 15-20 minutes For bars, cut into 5 rows by 5 rows. I’m having zero luck finding a 6 x 8” pan. Maybe use a round cake pan? This recipe really is amazing! I have been looking for the perfect low carb mint chocolate dessert that did not use coconut oil. These taste so good!